Dr. Phillip Cribb is giving his talk on behalf of Orchid Conservation International, a charity that raises funds for orchid conservation projects around the world. 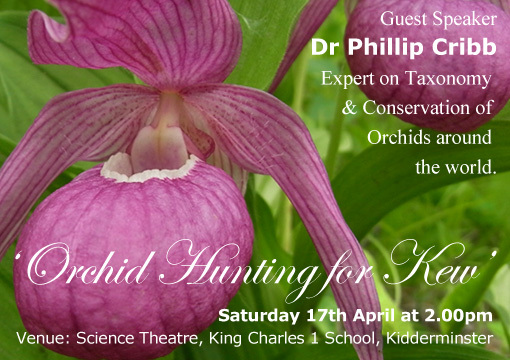 This free lecture will be a rare opportunity to hear one of the worlds’ foremost orchid experts in the Midlands. Much travelled in search of orchids around the world, Dr. Phillip Cribb has recently retired as Deputy Keeper of Kew’s Herbarium and Curator of the Orchid Herbarium. 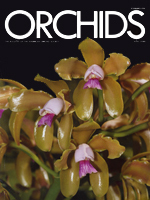 The American Orchid Society are now selling Miss Lontay silk orchid scarves at their shop in Delray Beach, Florida as advertised in the April issue of their monthly magazine Orchids. We are very proud to announce that it is now official that ALISON LONTAY is on THE BOARD OF TRUSTEES at ORCHID CONSERVATION INTERNATIONAL, based at The Royal Botanic Gardens, Kew in London. 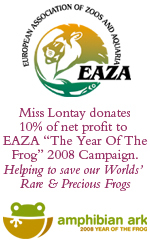 In recognition of her efforts in raising awareness and funding for Orchid Conservation through the Miss Lontay brand. 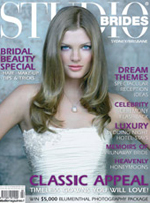 Studio Brides catches up with Miss Lontay's Lingerie and Swimwear designer Alison Lontay to find out what's new for Brides on their Wedding Night and Honeymoon. "I am very humbled by this appointment and I can only express that OCI can count on me to continue to give my support and hard work for a cause that is so dear to me and so close to my long term commitments with conservation"
Please extend my thanks to the Trustees and I hope that I will be of more help for this coming 2008"- Alison Lontay. This magnificent orchid Ophreys apifera that imitates a female bumble bee thrives in the open runway of London Luton Airport alongside the brown hare, skylarks and the white marble butterfly. Conservation and planning staff of the airport have established a conservation management project on the local downland area. Gt. 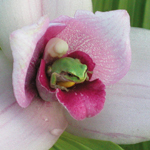 Britain and The European Association of Zoos and Aquaria to raise funds and awareness to save our frogs, through her KISS N TELL designs, see tropical floral tops link. To find out more about the campaign, please visit the conservation link. 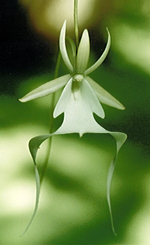 Miss Lontay's presence will be felt at IOCC as both Orchid Specialist's Philip Seaton and David Roberts will be speaking at the IOCC Conference in Costa Rica on unquie ways to raise awareness for conservation.